Situated in the central city area, the Hostel is located within walking distance of the Temple of the Tooth, the Kandy Lake and the Kandy City Center on a main shopping thoroughfare. 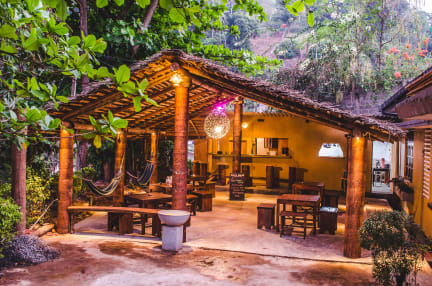 It is surrounded by restaurants and our knowledgeable staff are on hand to give you recommendations or to help you plan your travel to other parts of Sri Lanka. You can walk to the Hostel from the Kandy Railway station (7 mins) or the central Bus Stand (5 mins) and it is easily accessible by Taxi or Tuk-tuk. The Hostel offers free breakfast and WiFi, tours to other parts of the country and sightseeing tours to local landmarks and historical sites. We have clean and comfortable rooms equipped with fans and AC. 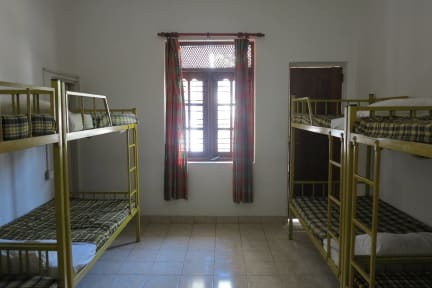 Rooms are dorm-style with a choice of mixed or female-only accommodation. The hostel is with 24 hours recetpion. If you need any earlier or later check in or check out time, please contact with the property in advance. 5. The hostel is not suitable for children, we have an age limit of 16 years. My room is a double room but no hot water. Room door is very hard to close and many things was broken. BTW. This price is very low and I can accept that. Staffs are friendly.